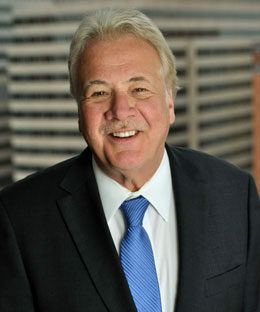 Rick is a founding shareholder and President of Lind, Jensen, Sullivan & Peterson, P.A. Rick is a trial lawyer with 35 years of civil trial experience and 100 plus jury trials to his credit. He has extensive experience in all types of trials, with an emphasis in the defense of professionals, brokers, business entities, contractors and insurers. His practice includes coverage disputes, commercial litigation, professional errors and omissions claims, construction defect litigation and product liability defense. In addition, Rick regularly represents professionals before licensing boards and the Department of Commerce. In his representation of professionals he has become well recognized in the defense of dentists, insurance agents, real estate sales persons and real estate brokers. Rick is also regularly asked to serve as a mediator and arbitrator in alternative dispute resolution efforts and will occasionally be appointed to act as special master and receiver. He is a founding member and member of the Board of Directors of Business Counsel, Inc. Please visit Rick’s LinkedIn page at LinkedIn.